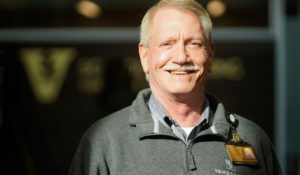 I Am Vanderbilt celebrates the people of Vanderbilt and the unique talents and contributions they bring to their work at the university each day. 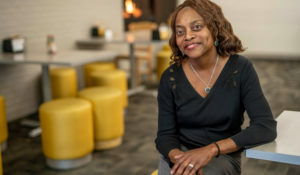 Shaneithia Lewis, a corporal with the Vanderbilt University Police Department, patrols her assigned zone each day with the mission of responding to calls, assisting students, faculty and staff and keeping the campus safe. But she does so with a unique partner riding along. Since September, Lewis has been partnered with Jack, a 2-year-old yellow Labrador retriever and the university’s first community K-9 officer. 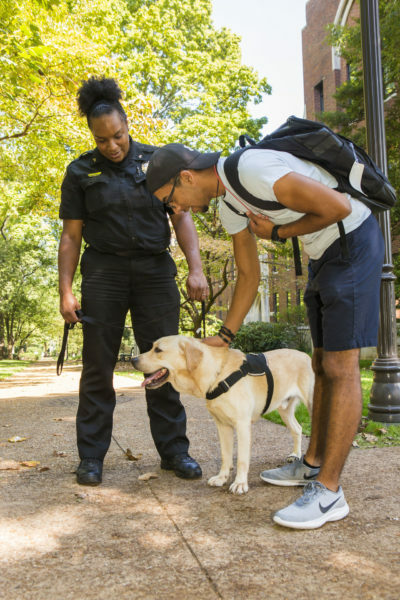 Unlike the K-9 Unit’s other three dogs, who are single-purpose explosive detector canines performing bomb sweeps before large-scale university events, Jack is specifically trained to interact with people. 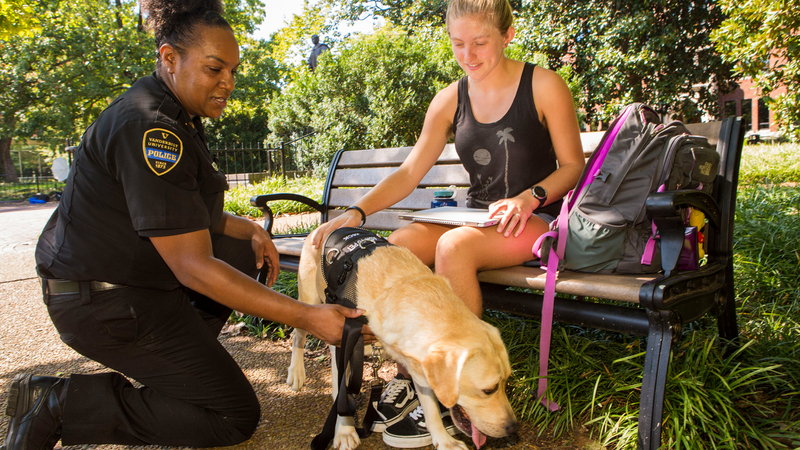 In addition to patrolling campus during her shifts, Lewis responds to invitations and seeks out opportunities for Jack to visit with community members. The goal is to provide comfort and affection to students, faculty and staff and aid in reducing anxieties in a variety of situations—such as during exam periods, stressful workdays, personal crises and more. “Having Jack has allowed me to be more approachable. It’s opened up more communication between me and the students, and I’m learning more from them. The partners have grown close—in no small measure because Lewis is Jack’s full-time caregiver. 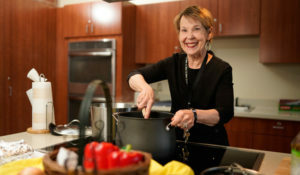 “He lives with me; that’s one of the requirements,” Lewis said. “When he gets home and we take off his harness, he knows that he’s just at home. He’ll lay out in front of the TV and watch the football games with us on Sunday and Monday. “At home he’s just a regular dog, lounging around,” she said. Lewis said life with Jack is a lot like having a friendly, eager, curious, furry kid. “When he doesn’t get his way, he does his face,” she said. “And I’m like, c’mon now—that’s not going to work. But it works, because he gets his way with everybody! “We have really become close,” she said.